If you child enjoys: bowling, swimming, going to the movies,out of town field trips, and having an epic summer; then this is the Summer Day Camp you have been looking for. 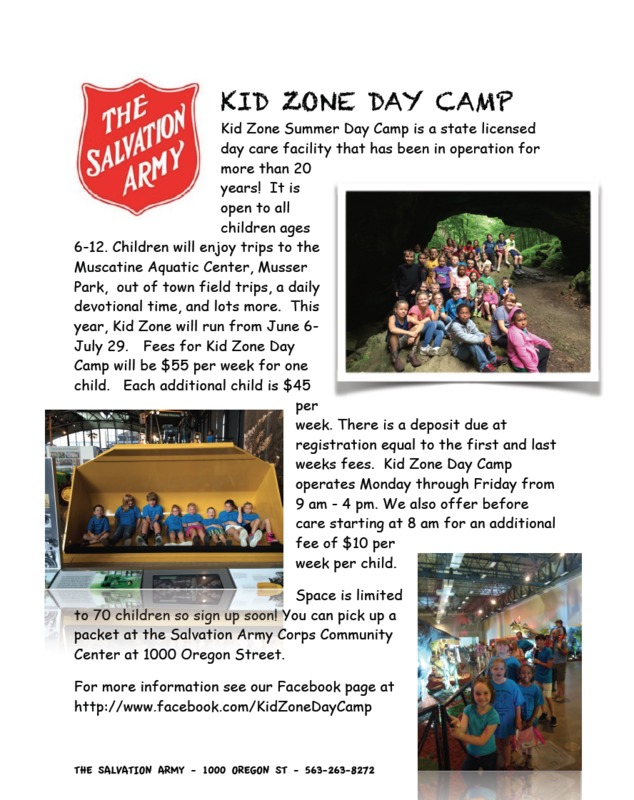 The Salvation Army KidZone Summer Day Camp is offering affordable flat rate child care for the summer of 2016. You will never pay extra for field trips. We are accepting applications for children between the ages of 6-12 years old. The summer fun starts June 6th-July 29th. You won’t want to miss this extremely fun summer, here at The Salvation Army.